My gut needs some TLC this week. I haven’t made much gelatin in the last few months and I’m not really sure why. I guess I was feeling so well that I didn’t need it. Lately, due to stresses I feel I need some again. I remember when I started the Specific Carbohydrate Diet (SCD) intro diet first. I was feeling horrible and I couldn’t believe how much I improved within just a few days of eating chicken broth and gelatin. I truly believe in gelatin’s gut-healing properties. But it has to be the good stuff. 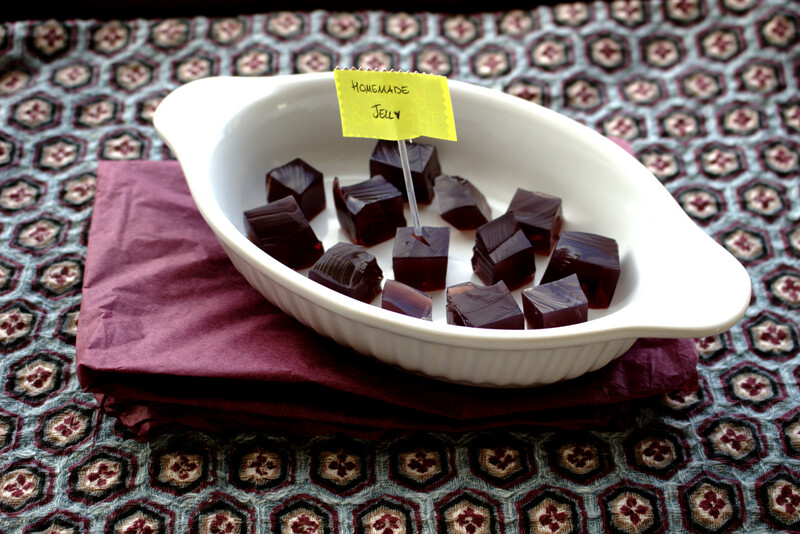 Your regular store-bought package gelatin won’t do. I purchased mine: Great Lakes grass-fed beef gelatin on Amazon. 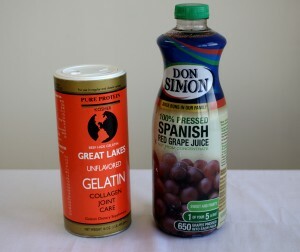 One of my biggest problems when I started the intro diet was actually finding SCD-legal grape juice. In the USA, it’s easy because Welch’s 100% Grape Juice has been verified and contains no sugar but I couldn’t buy Welch’s here in Ireland. I eventually found an alternative in the UK but I spent an exorbitant amount getting it shipped! This week just when I needed to heal my gut a little I found this new brand of grape juice in Ireland: Don Simon. It’s 100% grape juice with nothing added! I was so happy when I found it. I took it home and immediately made some grape gelatin with it. Making it is so easy and quick. Gelatin is a great snack food too. When you’re following a strict gluten or grain-free diet, snacks can be a difficult aspect. I can make delicious snacks with almond flour but when I overeat them my tummy tells me in a not-so-subtle way that I need to ease up! A great snack for little ones with gut-healing properties! 3 cups (705 ml) 100% Grape Juice* *If you are not sure, verify with the manufacturer that there is no sugar added. Pour the cold water into a suitable container and stir in the gelatin. Bring the grape juice to the boil in a saucepan. Once it comes to a boil, remove immediately and stir through the gelatin mixture. Allow the mixture to cool to room temperature before refrigerating. You can easily half of double the recipe.